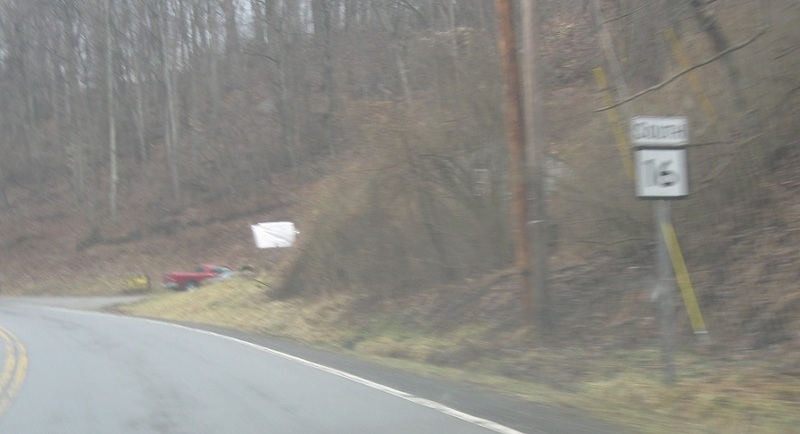 Reassurance shield as 211 rejoins WV 16 and we head out of Mt. Hope. 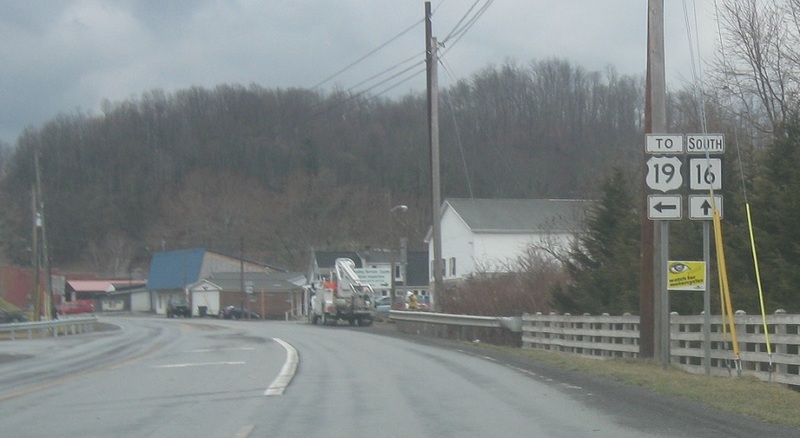 As we enter Bradley, turn right to follow a local road to US-19. Reassurance shield after the turnoff. As we enter Prosperity, we’ll approach US-19. 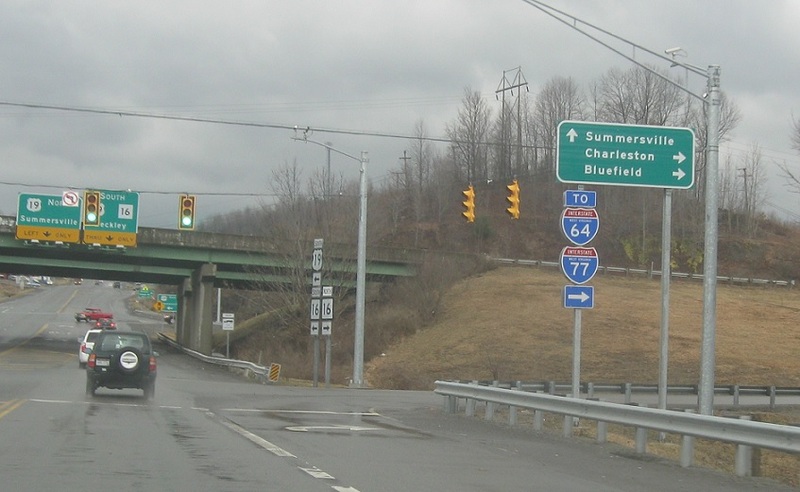 Turn right here for a freeway connector to the West Virginia Turnpike/I-64/I-77. It appears in route logs as US-19 Alt, though is not signed as such. 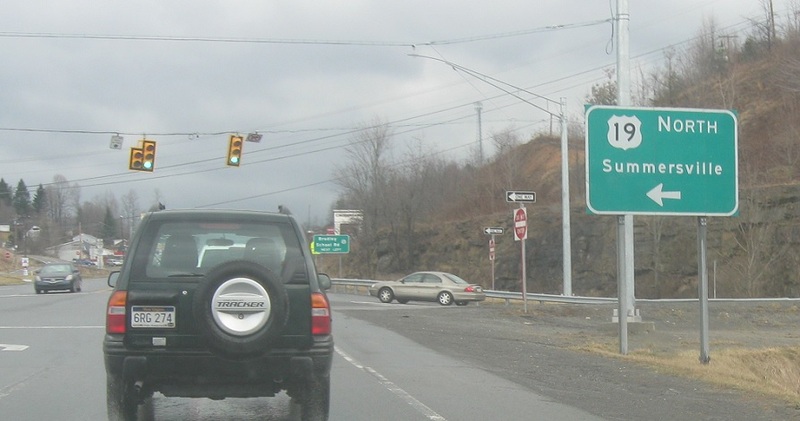 Turn left ahead for US-19 north. 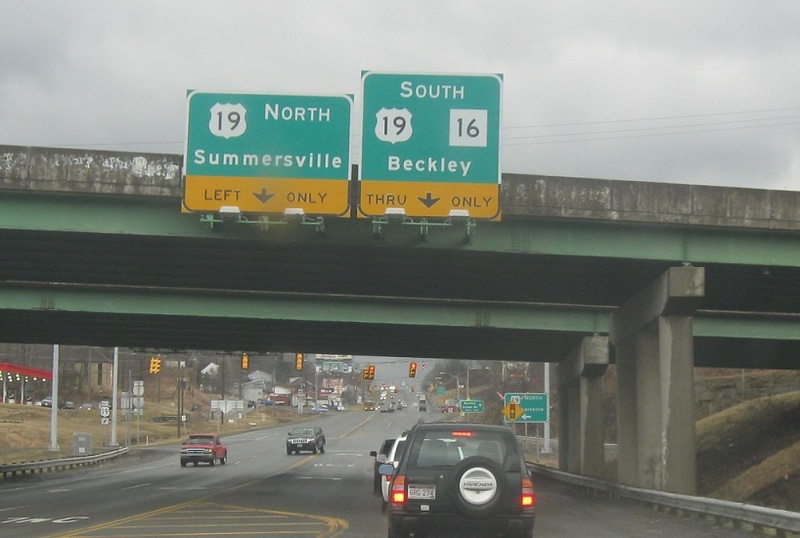 US-19 south will join 16 south into Beckley. 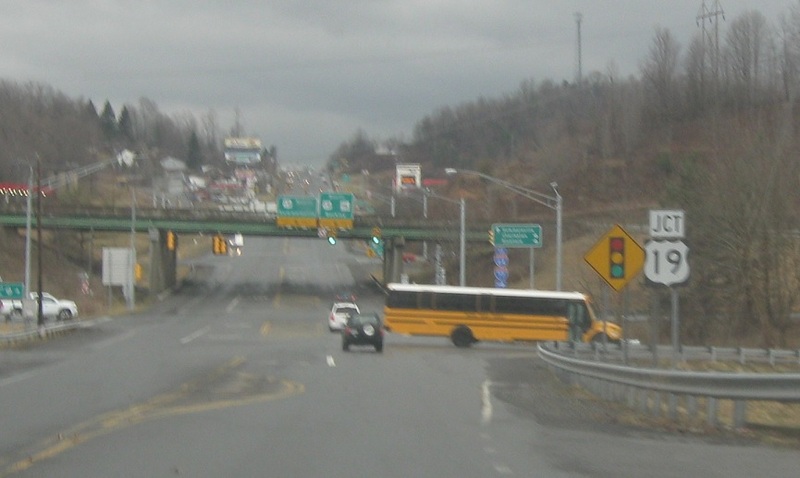 Turn left for 19 north to Summersville.